Ever had the inclination to play a post-apocalyptic game featuring Kung-Fu-inspired combat and sprightly furry animals? Well, Experiment 101 have created just that, and are planning to release it this year. 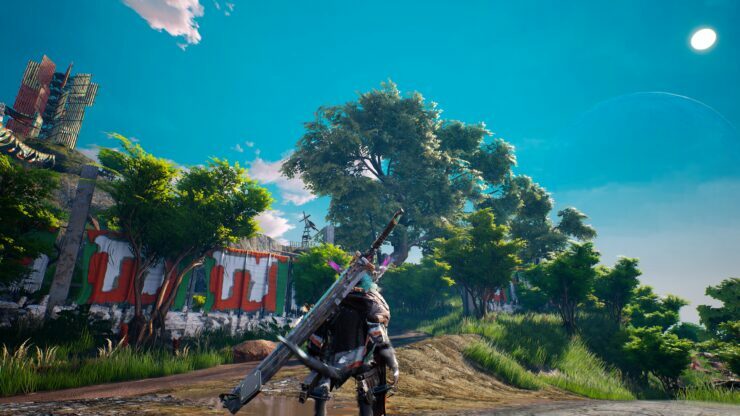 Biomutant is an open world RPG that lets you decide the fate of a dying world while offering you with a range of strange mutations to help you along your way. 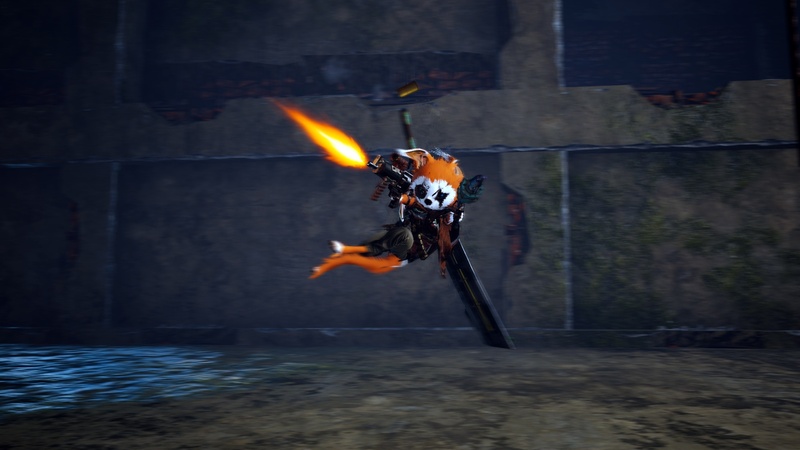 Following the PC Gamer Weekender event last week, there’s been quite a buzz surrounding the extensive character customization in Biomutant. As with any RPG, you’d expect to be able to alter various aspects of your character although, in this game, the way your character looks will affect their physical stats. For example, if you choose a slim character, they will be more agile, whereas if you opt for a muscular look, your character will likely be stronger. In addition, fur length, color and type can also be adjusted to ensure you have the finest looking Raccoon-esque creature in town. During my brief hands-on session with the game, I encountered a group of Morks. 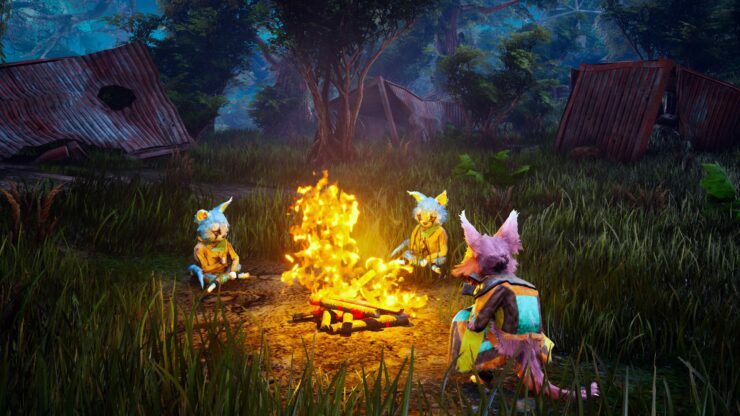 These creatures are integral to the upgrade system in Biomutant. Usually situated near the contaminated pools in the world, you’ll need to defeat Morks in order to acquire Bio Points. These points can then be spent at the contaminated pools on bio-mutations and upgrades for your character. Alongside the physical bio-mutations, you will also have access to psionic mutations, although these are obtained in a different way. By visiting old bunkers, you will be able to expose your character to radioactive machinery, which will enable you to unlock psionic abilities. Later on in the game, if you happen to befriend a crazy inventor called Wisk, he will also lend you a hand by crafting some valuable bionics, including a jump pack and a set of wings. In the preview build, I was able to test out a few of the upgrades and moves that will be available when the game releases later on this year. One of the moves, entitled, ‘Phoenix Wright’ enabled me to slow-mo jump while using my guns against enemies. The slow-motion effect gave me a good advantage to begin with, but this felt heavily overdone in the short period of time that I spent with the game. I also unlocked the ‘Mothmouth mutation’ which, as you would expect, spawned a lot of moths around me. I’m sure they were supposed to do something useful but they didn’t really do anything other than fly around. A telekinesis power enabled me to lift and hurl nearby objects at enemies and the ‘Fungimush mutation’ spawned a bouncy mushroom to help me reach higher areas. So far, there appears to be a decent amount of variety with regards to the mutations available to players. I’m looking forward to testing these out in the final build too. This may sound like a pretty sweet deal. However, there is a downside to beefing up your character with all of these mutations. The Morks that you fight are clearly infected with a contagious disease and if you continue to fight them, you’ll catch it too. As a result, you’ll be able to infect other characters that you interact with, which can end up influencing the events that occur at the end of the game. There’s a huge risk-reward element here, so you’ll want to weigh up all of your options before jumping in and killing everyone. While on the subject of making decisions, it’s also worth mentioning that you don’t have to be a ‘good guy’ in Biomutant’s story. If you’re unfamiliar with this game’s narrative, it revolves around the idea that the world you’re in is dying (hence the gloopy contaminated pools) and you have the opportunity to either save the world, or aid in destroying it quicker. This game works on a Ying-Yang karma system so you’ll have a few options to play around with when making game-changing decisions. In addition to your actions, there are six tribes that are already operating within the world, and these are divided as a result of their ideals. It’s up to you how you choose to interact with these tribes. For example, you can choose to ally with a tribe and persuade it to unite with others. Equally, you could go all-out supervillain and help one of the ‘evil’ tribes wipe out all of the others. Whatever you decide, prepare for some fitting consequences at the end of the game. I had the chance to play the PC build of Biomutant at PC Gamer Weekender. As Stefan Ljungqvist mentioned in our interview with him, the console versions are expected to look very similar to the build at the event. The PC version graphically looked nice and it ran at a smooth 60fps which apparently is not possible on either the PS4 or the Xbox One. Although we don’t have a solid release date, we can expect Biomutant to release some time in 2018. We’ll certainly be keeping an eye out for more information from Experiment 101 until then.